and Together we are better! We are very pleased to announce that we have combined our lawn sprinkler company, Command Irrigation Inc. with Pacific Lawn Sprinklers. For over years, Pacific has become the leading and most respected lawn sprinkler service company in the industry. We are committed to continuing to provide the excellent customer service that you expect from us. Our same technicians Mark and Nick will continue to service your system and Susan will continue to work in the office scheduling your appointments. We believe that the combined forces of Command and Pacific will allow us to better serve you. Please continue to call our main number, 614-851-1855 for prompt and efficient service. We can also now be reached by email at command@pacificlawnsprinklers.com. Please note for the future, all payments should please be made PAYABLE TO PACIFIC LAWN SPRINKLERS. We value your time and loyalty, and promise to be there when we say we will. 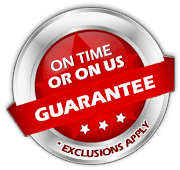 We'll even put our money where our mouth is and pay you $50.00 for your service appointment in the unlikely event that we are late. Time is MONEY! If you are not completely happy – we will refund the cost of your service call charge. For over years the referrals from our clients have been the cornerstone of our growth. 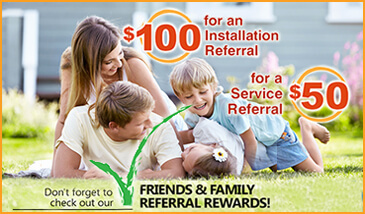 Pacific Lawn Sprinklers offers a Referral Program which thanks you for recommending your friends and family with valuable coupons and discounts. 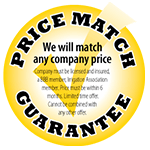 We are so confident that we can provide the highest quality sprinkler or landscape lighting installation at the most competitive price we offer a price match guarantee for all installations. Company must be licensed and insured. An Accredited Business of the Better Business Bureau and Irrigation Association. Price quote must be within 6 months. Limited time offer, price cannot be combined with any other offer. Pacific is currently offering special discounts for service and repair work. Any repair or renovation over $500.00 receives a $50 discount, and any repair or renovation over $1000.00 receives a $100.00 discount. This offer cannot be combined with any other specials or discounts. * Pacific offers NO Interest and LOW Interest financing options for sprinkler system and landscape lighting installations. * Pacific accepts cash, check and all major credit cards. All payments and service requests can be made online at your convenience through a secure site. Guaranteed workmanship by fully licensed and insured technicians who receive continued education and safety training. 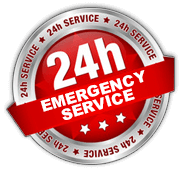 Emergency Service requests handled 24 hours a day 7 days a week by a live Customer Support Representative. A service tech is always available to repair your sprinkler or landscape lighting system. From the moment you call Pacific Lawn Sprinklers a live, friendly and knowledgeable person will help you book an appointment that fits YOUR schedule. 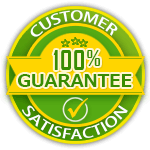 You can expect to meet a courteous, professional, uniformed ‘Sprinkler Guy’ in our trademark yellow vehicles who is guaranteed to be “ON TIME OR ON US GUARANTEE”. By choosing Pacific Lawn Sprinklers not only is your appointment guaranteed but all work that we perform is also guaranteed.